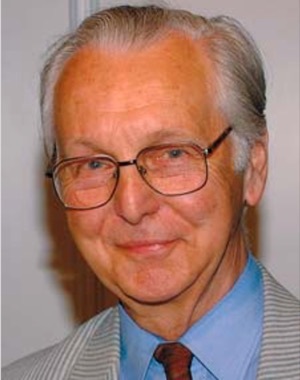 After four years with Plessey on loudspeaker development, Ron started at Philips Records (Marble Arch) as technical assistant in 1958. Four years later he became Head of the Studio Technical Department – seeing the studio through the ’60s with two major refits and many equipment changes. He was responsible for specifying equipment and supervising all outside recordings, and also for the company’s many other external activities. In 1964 he specified and ordered the first Neve console in London for mobile (and later studio) use. Increasing activity in the Philips Phonographische Industry HQ in Baarn near Amsterdam saw Ron representing London in many international meetings on console and equipment design. In 1972 he was responsible for the installation of the first Phonogram desk made in Baarn – a studio mixer with many advanced facilities. Ron transferred to Decca at the time of their take over by PolyGram and became deeply involved in Decca’s move from their Broadhurst Gardens centre to Belsize Road, where he became site manager for the new building. He stayed with Decca for five years doing technical liaison work between Decca’s R&D department – already well into digital recording with equipment of their own design – and Baarn, which had good manufacturing capacity to make it. In 1983 he left Philips and after a brief period working on loudspeaker manuals for KEF he joined Link House Publications in Croydon as a part time proof reader for Studio Sound. While there, he was offered assistant editorship of Broadcast Systems Engineering magazine with editor David Kirk. After 18 months Kirk left and Ron was appointed editor, running the magazine until 1988 when he was offered the editorship of Line Up. After a recording industry career, Ron quickly became familiar with the broadcast field and rapidly endeared himself to the people in the industry, building on his reputation for fairness and accurate reporting. He continued to attend international trade shows where he was a popular figure and made many new friends, both for himself, the IBS and LineUp, finally retiring in 2000 after twelve years editing our journal.